Ask any of his patients and you’ll hear about Dr. Gerry’s passion for dentistry and genuine concern for others. Since graduating from the dental program at McGill University, over 25 years of care and dedication to his own patients have followed, fuelled by Dr. Gerry’s belief that dentistry can change lives. Dr. Gerry’s path to dentistry began with a playground accident as a young boy in which he broke his front teeth. During his treatment, Dr. Gerry was fortunate enough to be attended to by a dental student named Victor Goodyer who took a real interest in his young patient. Through that mentorship, Dr. Gerry discovered his own interest in dentistry and was enthusiastic about the results that could be achieved. Some of the models Dr. Gerry uses to demonstrate concepts for his patients today were given to him as a child by Dr. Goodyer. Commitment to the community is another of Dr. Gerry’s core values. He and his wife Summer raised their three children in Markham and have been active volunteers in the city. To give back to his community, Dr. Gerry provides dental care for Participation House, a local facility for cerebral palsy patients, and volunteers as the co-founder and president of the Markham Men’s Basketball League. 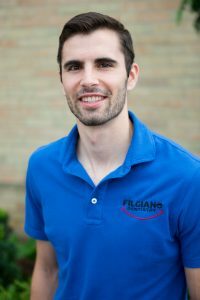 Check out some of the other ways Filgiano Dentistry participates in Markham life by clicking here. 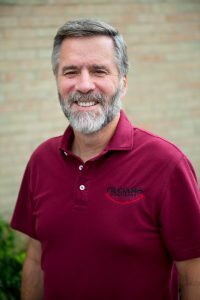 Dr. Tom’s interests led him to pursue a Bachelor of Kinesiology degree at Acadia University where he was the gold medallist in his program while playing varsity basketball. During his free time, he used the skills he was learning to do volunteer work with both children and people with disabilities. At graduation, he was awarded the George Wilbert Cox Cup given to the graduating male student who has the most outstanding accomplishment in scholarship, athletics and other extracurricular activities at the university and was a Rhodes Scholar finalist. Accepted into the Dentistry program at Western, Dr. Tom continued to play varsity basketball and to volunteer within the London community. On the Dean’s List each year, Dr. Tom was also chosen as one of only 6 students to work independently in the northern native community dental clinic of Moose Factory, Ontario as part of his clinical training.